It is a lightly concealing cream that soothes and sterilizes affected areas, encouraging the removal of affected cells and stimulating cell replacement. 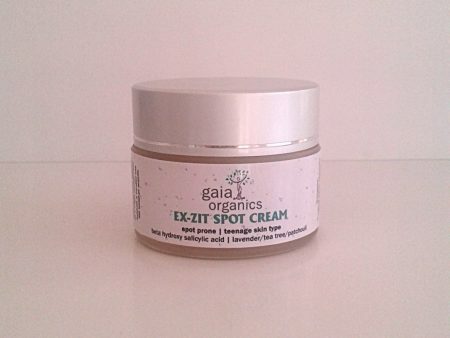 Includes soothing, calming and anti-inflammatory ingredients to help alleviate and prevent further irritation. A blend of antiseptic, antibacterial and anti-fungal ingredients are include to help combat any infections. The Beta Hydroxyll Acids assist in removing skin cells that are damaged, allowing new cells to take their place. After cleansing and toning, apply directly to problem area. Allow the cream to dry before applying any other products. Use twice a day, in the morning and evening. A specially formulated low oxidation-potential aqueous cream base, natural (alpha) malic & (beta) salicylic hydroxyll acids, Beta Carotene, Comfrey Allantoin, Green Tea (extract), Kelp (iodine), Centella (extract), Aloe Ferox & Kombucha (selenium) extracts, Colloidal Silver, D-Panthenol, Vitamins A, B6, C & E, MsulphurM and essential oils of Tea Tree, Lavender*, Bergamot, Patchouli & German Chamomile. Caution: Avoid contact with the eyes. In the event of rinse well with fresh water.